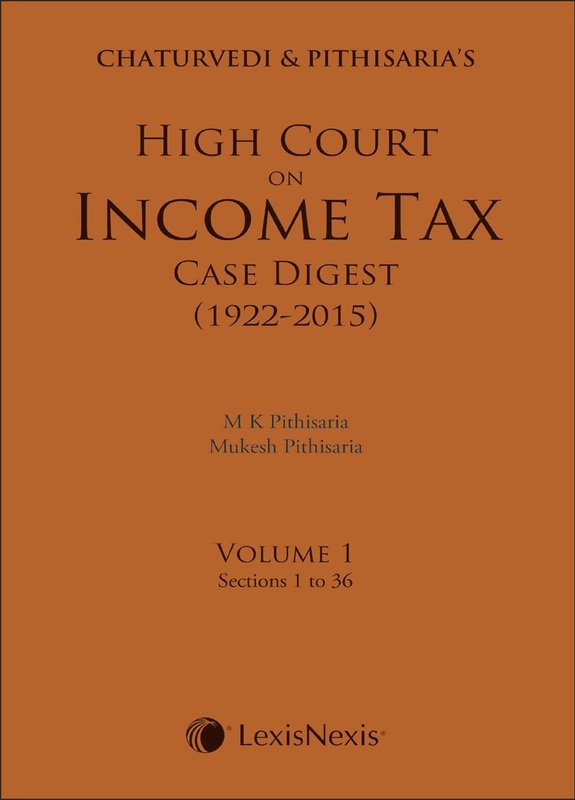 Chaturvedi & Pithisaria’s High Court on Income Tax is a case digest covering judgments ranging from 1922 to 2015. Written in a lucid and simple style, this comprehensive compendium covers over 50,000 notable judicial decisions of the High Court presented in a section-wise manner categorized under appropriate headings and sub-headings. This new treatise covers case law upto and including (2015) ITR Volume 373, as well as reported in other journals including CTR, Taxation, Taxmann, Tax LR, AIR, etc. High Court decisions which have been reversed, affirmed, overruled, impliedly overruled, relied on, dissented from, by Supreme Court rulings have also been discussed. The case digest is an invaluable and authentic reference work for chartered accountants, lawyers, judges, tax practitioners and corporate professionals.